Prices for .makeup domains are skyrocketing again. 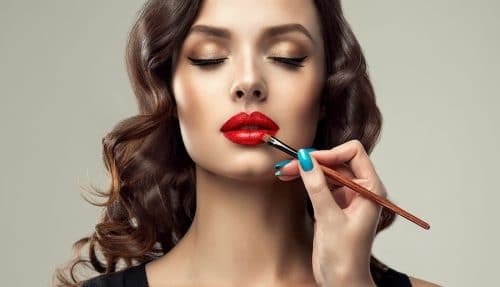 L’Oreal, which operates the .makeup top level domain, was getting ready to raise prices that were about $300 a year to a retail price of over $5,000. But why stop there? It looks like it’s hiking its prices about 100% this year, so you should expect to pay $10,000+ retail to register .makeup domain names beginning September 6. The good news? Existing domain name registrations are grandfathered in. So if you grabbed one of these domains early, you don’t have to pay the new higher prices. There are about 250 registered .makeup domain names. Don’t expect that to increase anytime soon. Not for L’Oreal. They already registered all the domains they wanted, already reserved all the domains they didn’t want but also didn’t want anyone to have, and will use the grandfathered pricing for their domains while creating an entry barrier for other companies that will either make them not register, or pay L’Oreal so much money to compensate possible competitive losses. Are they even using it? Even their much promoted WeLove.Makeup seems to be now dead.